When it comes to wellness and medical exams, sometimes what we can’t see is more important that what we can. When a physical exam is just not enough, our staff has the specialized equipment that can be vital to making a diagnosis. Diagnostic testing provides Dr. McCracken with information regarding your pet’s health internal well-being without the need for invasive, expensive procedures. We can deliver your pet’s test results in a timely manner – often within a few minutes – minimizing the time you need to wait for an accurate diagnosis and treatment plan. In addition, routine blood and urine testing can show early evidence of diabetes, changes in kidney or liver function, or simply provide a baseline for future reference. It can be completed prior to dental or surgical procedures to reduce the risks of general anesthesia. Equine Care: Though we prefer to prevent illness as much as we possibly can, there simply is no guarantee a well-cared for horse will never face an illness or injury. Dr. McCracken and team are able to diagnose and treat a wide range of medical conditions. These include (but are not limited to): Coggins testing for Equine Infectious Anemia, coughing, choke, respiratory infections, colic and weight loss. For some cases a referral to a specialist may be required. Very often, laboratory diagnostic tests help us determine the severity and cause of your pet’s condition. 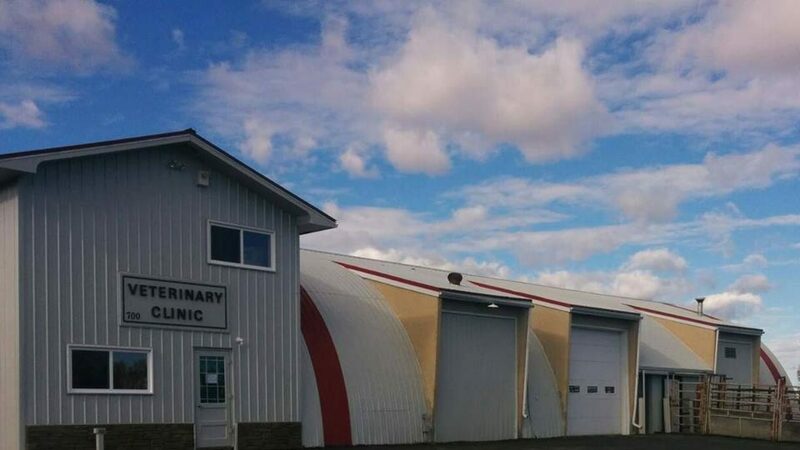 Manning Veterinary Clinic is equipment with an in-house diagnostic laboratory capable of performing a complete series of diagnostic tests. We maintain a full in-house laboratory for running a wide range of tests on blood, urine, feces, and other samples. 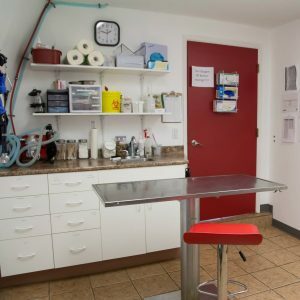 We are able to run most blood and urine tests, such as complete blood counts, chemistry screens, electrolyte levels, clotting times, and urinalysis. We also offer in-house cytology cultures when needed. Because protecting your pet’s health is our most important job, we collect and send samples to our reference laboratory partner, IDEXX laboratories. We also have specialized equipment for measuring blood pressure and ocular pressures. Digital radiography is an essential tool for diagnosing many ailments and illnesses in your pet – as it has the ability to penetrate tissues and show your pet’s organs and bones. Radiographs are images used to detect conditions such as broken bones, tumors, bladder stones, and foreign bodies (toys, bone, or articles of clothing) in your dog or cat’s stomach. Digital radiographs also are useful for diagnosing heart and lung problems and can be used to evaluate cats and dogs for hip and elbow displasia. Radiographs are a common diagnostic tool for examining your pet’s bones, lungs, heart, abdomen, oral cavity, and other areas. If it is suspected that your pet has a fractured bone, has swallowed a foreign object, or is suffering from an internal problem, an X-ray can likely provide us with the information we require. If needed, radiographs can be emailed to a board-certified radiologist for immediate review through IDEXX Telemedicine. In the event that we diagnosis is beyond our capabilities, we may offer you a referral to a specialist. This painless, safe, non-invasive procedure is one of the many ways in which we strive to give you peace of mind when it comes to your pet’s health. Our portable ultrasound unit is primarily used to bovine pregnancy testing.